The 470-hp, performance-oriented Dodge Charger SRT8 trim returns to the lineup for 2012 after a one-year absence, and the automaker introduces a new, buzz-worthy optional 8-speed automatic transmission, which helps improve the performance of the Charger's base V6 engine. Due to the 2012 Charger's sloping roofline, headroom in the second-row seat can be tight for taller passengers, and some testers find the steering a little numb. In many ways, the 2012 Charger could be called a hidden gem. It doesn't get the press attention that muscle cars like the Mustang and Camaro do, and often it isn't considered an alternative to the typical family sedan, since it displays exterior styling that some buyers might find too aggressive. But those buyers who do take a look at the Charger will be pleasantly surprised by what they find. Following a full redesign in 2011, the Dodge Charger receives a number of new features for 2012, including a new ZF 8-speed transmission, a first for a domestic sport sedan. Working with the base V6 engine, the new transmission helps boost fuel economy numbers up to 31 mpg. The Charger also gets an updated touring-tuned all-wheel-drive suspension and a number of new options packages, including a Charger Blacktop Package and an R/T Road & Track package, both of which include new die-cast zinc steering-wheel-mounted paddle shifters. Dodge also reconfigures the Charger lineup for 2012, and returns the Charger SRT8 to top of the lineup, equipping it with a 470-hp Hemi V8 engine. For 2012, the Charger's lineup consists of the entry-level SE, the mid-level SXT and SXT Plus, the sporty R/T and R/T Max, and the new performance-oriented STR8. 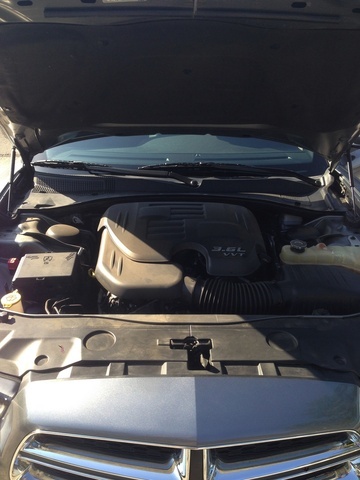 The SE and SXT come equipped with a V6 engine, while the R/T and R/T Max get a V8 Hemi. The new 8-speed automatic transmission comes standard in the SXT and SXT Plus, and is optional in the SE. The two new packages with paddle shifters are available on the SXT and SXT Plus trims. Paddle shifters come standard on the SRT8. 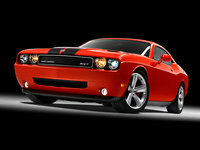 In addition, Dodge offers optional AWD on SXT and R/T trims, as well as on V6-powered trims for the first time in 2012. Drawing on a long history that dates back to the mid-1960s, the 2012 Charger 4-door sport sedan displays an exterior design that mixes styling cues from the past with contemporary updates, creating what Dodge calls a "lean forward" design. And indeed, even at a standstill, the Charger looks like it's sitting on its haunches, ready to to spring forward. Muscular yet aerodynamic in shape, the Charger features a "split crosshair" signature grille, an aluminum hood with sculpted dual "scallops" (wide, shallow grooves), muscular front and rear fenders, flared bodysides with large scallops beginning at the front doors, tight sculpted wheel wells and a rear decklid spoiler. Introduced in 2011, the signature taillight design incorporates 164 LEDs, which form a distinctive rear-wide "racetrack" graphic, making the Charger easy to identify from a distance. Since its 2011 redesign, the Charger has garnered a number of awards. It was named a Top Safety Pick by the IIHS, and was an Automobile Magazine All-Star for 2012. It was also short-listed for the Motor Trend 2011 Car of the Year and was nominated as a Car and Driver Ten Best. The rear-wheel-drive 2012 Charger comes with a choice of 3 engines, including 2 V8 powerplants. The entry-level SE and mid-level SXT trims continue to come equipped with a 3.6-liter Pentastar V6 engine that generates 292 hp and 260 lb-ft of torque. According to reviewers and owners, the V6 delivers plenty of power itself, but when paired with the old 5-speed automatic, didn't deliver the performance drivers expected. So for 2012, Dodge responds to those complaints by offering the new 8-speed automatic transmission, which comes standard in the SXT and SXT Plus, and is optional in the SE. Equipped with the 8-speed automatic, the Charger accelerates more quickly while delivering a 4-mile-per-gallon improvement in fuel economy on the highway. When linked to the standard 5-speed automatic transmission, which comes standard in the SE, the V6 posts fuel economy numbers of 18/27 mpg. The numbers increase to 19/31 with the 8-speed automatic. On AWD Chargers, fuel economy with the 8-speed drops to 18/27 mpg. Dodge notes that thanks to the new 8-speed transmission, the Charger boasts the best highway fuel economy in its class (31 mpg) and the best V6 AWD fuel economy in its class. Those who prefer a beefier powerplant should opt for the R/T trims, powered by a 5.7-liter, 370-hp V8 that puts out an asphalt-painting 395 lb-ft of torque. On the downside, the V8 remains paired with the 5-speed automatic transmission, since Dodge hasn't yet made the 8-speed transmission available in R/T trims. With the 5-speed, the V8 manages fuel economy numbers of 16/25 mpg. The new STR8 re-joins the lineup with a new 6.4-liter Hemi V8 and a power boost to 470 hp, an increase of 45 hp over the previous STR8's 6.1-liter V8. In addition, torque jumps to 470 lb-ft, an increase of 50 lb-ft. The high-performance Hemi V8 drives the Charger STR8 from 0-60 mph in 4.3 seconds and links to the 5-speed automatic transmission with Normal and Sport shift modes, as well as steering-wheel-mounted paddle shifters. Thanks to such features as an active valve exhaust system and Fuel Save Technology, which enables the engine to run in 4-cylinder mode to conserve fuel when full power isn't required, the V8 posts relatively decent fuel economy numbers of 14/23 mpg. Premium fuel is required. When paired with the new 8-speed automatic transmission, the V6 now moves the Charger along more efficiently. Both V8s deliver plenty of power as well, despite the lack of the new transmission. Overall, owners and reviewers give the Charger solid marks for acceleration and performance. Despite its wide stance and 4,000-pound weight, the Charger moves and handles fairly well, delivering a good blend of comfort, stability and sportiness. Some reviewers say the Charger does better when cruising at highway speeds than twisting through tight turns, but overall they say the suspension holds the road fairly well and the steering feels fairly precise. However, the Charger can still feel jittery over uneven pavement, and it can wallow and float at times while coasting at speed. The Charger rides on a 4-wheel independent "touring" suspension with hydraulic power-assisted rack-and-pinion steering. Four-wheel performance antilock disc brakes also come standard. The R/T trims get upgraded brakes and a performance-tuned suspension with stiffer damping, which improves control during more aggressive driving. The performance-tuned suspension also makes an attempt to minimize vibration and harshness as well as noise levels, which have drawn some criticism from testers. Acoustic windshield and front-door glass, standard on all trims, also helps to keep cabin noise levels down. At the high end, the SRT8 comes equipped with upgraded 14.2-inch front and 13.8-inch rear Brembo brakes as well as a two-mode adaptive suspension, which automatically adjusts from plush to performance depending on road conditions and driver inputs. The STR8 also gets an SRT-tuned hydraulic steering system with revised gearing and a heavy-duty pump, designed for optimal responsiveness. Where the rubber meets the road, the SE and SXT trims receive 17-inch aluminum wheels with all-season tires, while the SXT Plus, R/T and R/T Plus trims ride on 18-inch chrome-clad aluminum wheels with all-season performance tires. The STR8 gets 20-inch aluminum SRT Design wheels with all-season performance tires. In addition, Dodge introduces a new second-generation, touring-tuned AWD suspension for 2012. The upgraded suspension adds hydrobushings for improved handling in all types of weather, as well as a more comfortable overall ride. 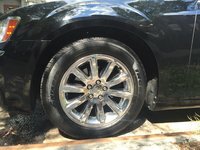 In addition, all AWD-equipped Chargers have a slightly lowered ride height (4mm) and larger 19-inch wheels with all-season performance tires. The Charger's cabin delivers a winning combination of upscale yet sport-oriented features, with a thoughtful layout and easy-to-read gauges. The curving instrument panel and dash angle toward the driver in a design reminiscent of BMW's driver-centric cabins. Dodge also includes a number of features that set the Charger apart from its competitors, such as standard illuminated cup holders, retro yet still-readable numerals on the gauges with LED lighting, optional Nappa leather with French seam accent stitching, available power-adjustable pedals and available heated and ventilated seats. In addition, such details as fabric-covered pillars and an oversized glovebox add to the cabin's comfortable, functional feeling. Passengers will find plenty of headroom and legroom in the front seats, although headroom in the second row can be tight for taller riders due to the sloping roofline. Trunk space checks in at a respectable 16.5 cubic feet, and a 60/40-split folding rear seatback makes it easy to expand cargo space into the cabin. The entry-level Charger SE comes well-equipped with such standard features as dual-zone air conditioning with air filtering, keyless entry, an electronic vehicle information center with a color display, a tilt/telescopic steering wheel, aluminum interior accents and power windows and door locks. In addition, the SE gets a 6-speaker Uconnect AM/FM audio system with a CD/MP3 player, audio jack, USB port and 4.3-inch touchscreen, which displays music information and climate controls. Steering-wheel-mounted audio controls also come standard. In addition, the SE receives premium cloth upholstery with a 6-way power-adjustable driver's seat. The SXT adds heated front seats, an 8-way power-adjustable driver's seat, a 4-way power-adjustable passenger seat, a leather-wrapped steering wheel and shift knob, a remote start system and a 276-watt, 6-speaker audio system with Bluetooth and SiriusXM satellite radio, while the SXT Plus also includes leather upholstery, 4-way power lumbar for the driver and passenger, heated and cooled cupholders, heated second-row seats and an auto-dimming rear-view mirror with a microphone. The V8-powered R/T trims add heated, power-adjustable front seats and the 276-watt audio system with a larger 8.4-inch touchscreen. The R/T Plus also adds sport leather seats and second-row heated seats, while the STR8 gets performance perforated leather seats with heated and ventilated front seats, plus a Garmin navigation system with SiriusXM traffic, hands-free texting and a ParkView rear backup camera. The new Blacktop Package includes unique sport seats with additional bolstering, as well as a black-painted grille, unique black-painted 20-inch wheels and a performance-tuned suspension. The new R/T Road & Track Package for the R/T trims includes heated and ventilated performance seats with larger side bolsters, driver's seat memory, power-adjustable pedals and steering-column memory, as well as a black honeycomb-style grille, a rear differential with a 3.06 axle ratio, performance engine and transmission calibration, and 20-inch chrome-clad wheels. The 2012 Dodge Charger earned a Top Safety pick designation from the IIHS, due to its top rating of Good for all three types of crash tests, including frontal, side-impact and rollover crashes. Similarly, the NHTSA gave the Charger 5 out of 5 stars overall, which breaks down to 5 stars for protecting passengers during side-impact and rollover crashes and 4 stars for frontal crashes. Overall, Dodge says, the Charger comes equipped with 65 safety and security features, including available blind-spot monitoring, adaptive cruise control, a forward collision warning system and rear cross path detection, integrated into multifunction side mirrors. All Chargers include two-mode electronic stability control with all-speed traction control, as well as antilock brakes with brake assist and rain brake support. Other standard safety features include Hill Start Assist, advanced multistage front airbags, front seat-mounted airbags, side-curtain front and rear airbags, and a Sentry Key theft deterrent system. The Charger receives generally high praise from owners, who are extensive in their positive comments about the sports sedan. Although the Charger's capable handling, 8-speed transmission and aggressive exterior styling all get high marks from owners, the vehicle's value is what truly impresses them. Most say they feel as if they've received a lot of car for the money. In addition, many owners say they like the attention to details inside, as well as the add-on packages, which give owners a variety of customization options. Owners also praise the Charger's solid build quality, decent gas mileage, and quiet, comfortable ride. Owners say they found very little wind and road noise in the cabin, and like the cargo space in the trunk. Some owners even report that they were skeptical about buying a Dodge until they test-drove the Charger, which changed their minds. Negatives focus on the limited headroom in the rear seat and some numbness in the steering, but overall negative comments are few and far between. Overall, owners like the Changer, and many say they would recommend the vehicle to other buyers looking for a sporty alternative to the typical family sedan. 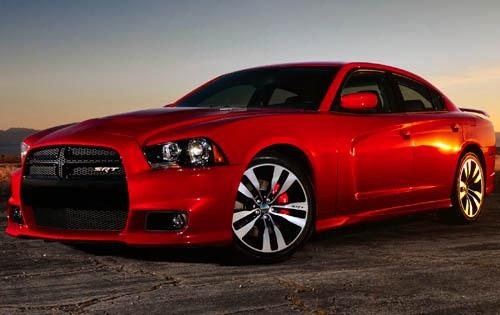 What's your take on the 2012 Dodge Charger? Little_Blonde_Nurse I just bought a 2012 Charger R/T Plus 2 days ago, and I am in love! I feel like I own the coolest car in the entire world, because both interior and exterior features are quite impressive. The heated & cooled lighted cup holders are such a neat feature. It drives like a dream too. I've owned other sports cars such as a Camaro and RX-7 but the Dodge Charger is by far my favorite! Users ranked 2012 Dodge Charger against other cars which they drove/owned. Each ranking was based on 9 categories. Here is the summary of top rankings. Have you driven a 2012 Dodge Charger?